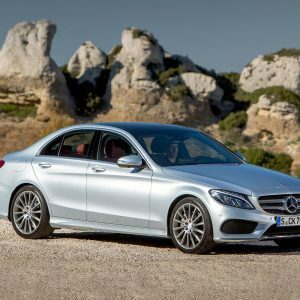 In 2014, MBUSA achieved the highest annual sales volume in its history with 330,391 units sold for the Mercedes-Benz brand, representing a 5.7% increase over 2013 sales. Sprinter Vans achieved an annual sales total of 25,745, gaining 18%. Adding 10,453 units from smart, MBUSA’s year-end-sales total hit an all-time record 366,589 vehicles, increasing 6.7% from the previous year. Although MBUSA was founded in 1965, importation of Mercedes-Benz vehicles actually began in 1952 under Max Hoffman. Mr. Hoffman was a driving force behind the car that cemented the identity of Mercedes-Benz in America: the iconic 300SL Gullwing. It’s exceptionally sleek yet subtly elegant. Generous with space and safety, yet fun, agile and efficient. 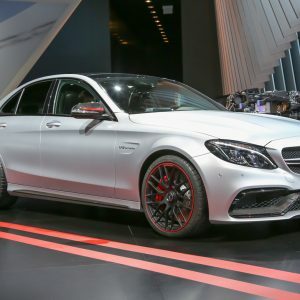 From the Star in its grille to the sculpture of its taillamps, it’s a shape that sets a benchmark for luxury sport sedans. And in both luxury and sportiness, the experience upholds everything its style promises. 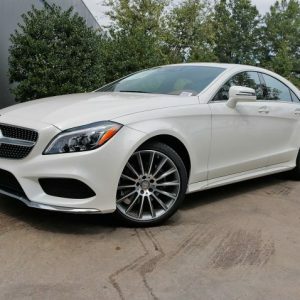 From its muscular stance to its scintillating details, the CLS combines power and poise to be a true Mercedes-Benz coupe. From its diamond-block grille and LED headlamps to its four frameless doors and sweeping profile, it’s a moving experience for the eyes. 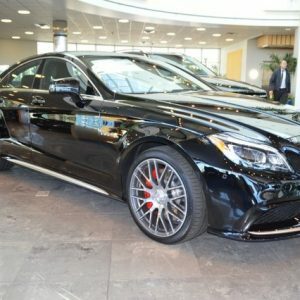 And from its AMG styling to its 18″ and 19″ wheels, it makes any driver’s heart race.